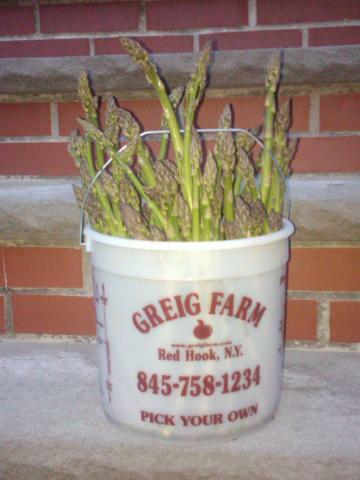 Right now at least 60 kitchens in Brooklyn are rocking out some serious asparagus thanks to our fab berry share. 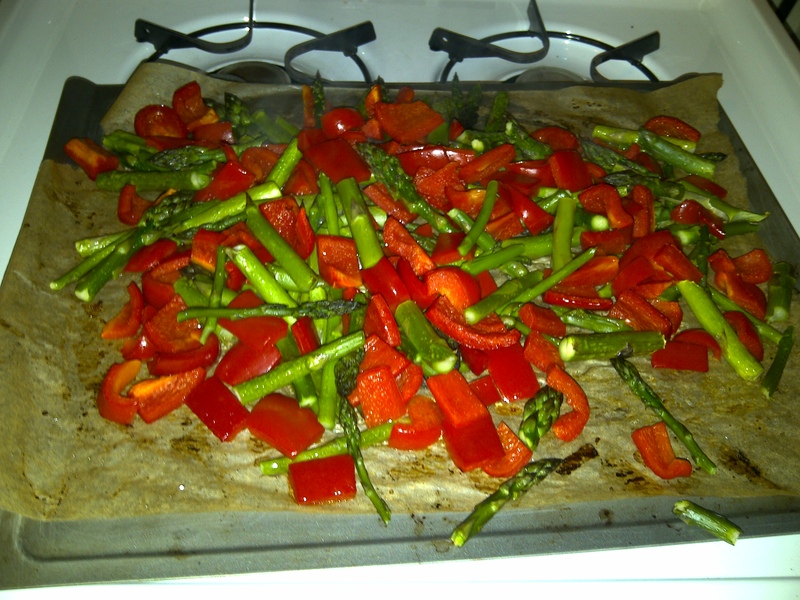 Here are some fun recipes and pictures our members have been sharing with us. An easy way to prepare the vegetable, roasted asparagus is a delightful treat. 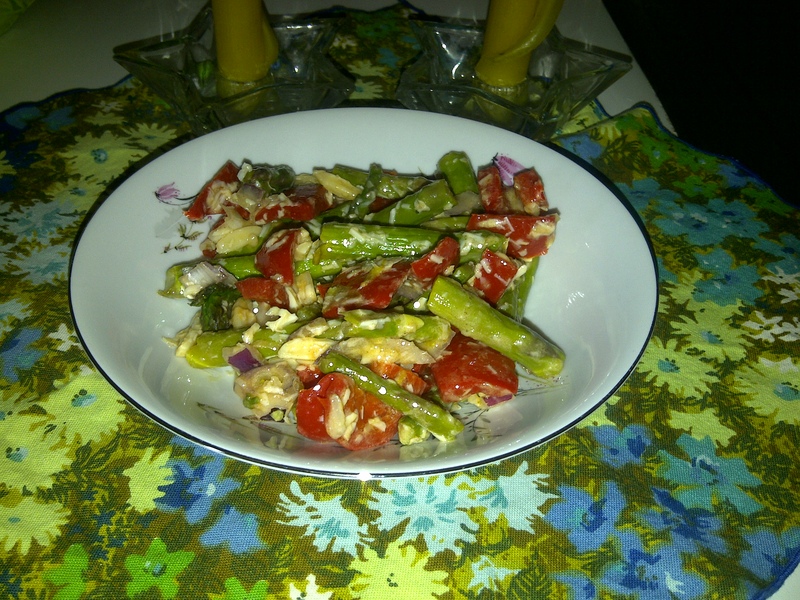 Dusted with some salt & pepper, squirted with a little lemon juice, roasted with other vegetables (like peppers or mushrooms), or topped with cheeses or butter, roasted asparagus can work as a simple side or the main course. Pickled asparagus. Raw fermented asps!! by rich a. Not sure what to do with all that grass? How about pickling some for later! Rich sent us some easy instructions for fermenting our bounty. 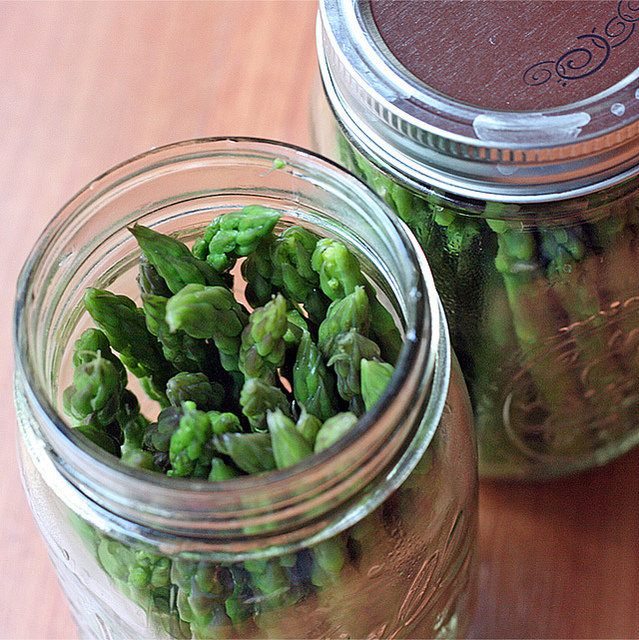 Take as many asparagus as you can squeeze into a quart sized wide mouthed mason jar, and cut them so that they will stand up and fit perfectly into the jar. Put 1/8 of kosher or sea salt or pickling salt in the bottom of the jar, add a little warm water to disolve. Place all spears standing up in the jar, fill with water. Put lid on but do not tighten it all the way. Leave on counter with a container to catch the spillage. We have a little bit more time with asparagus, our spring starter veg that preps for the bounty of green ahead. Enjoy and share with us all your yummy recipes. Thanks for the pickle recipe Rich. How much salt do you add? 1/8 tsp, tbs or cup?